Group keyboard classes are available for a range of ages and levels. A maximum of 6 students per class guarantees individual attention within a group learning environment. Students are matched based on age and taught with age-appropriate materials in a 45 minute lesson which maximises concentration. Duo lessons can also be provided which run for 30 minutes as children receive more individual attention during the lesson than in a small group. Why learn in a small group? Group lessons are more fun and motivating for beginners and those in their early years of learning as students have the opportunity to learn from both the teacher, and other students, through listening, singing and group activities. A small group size caters to young childrens' needs for interaction with peers whilst providing individual focus and refinement of technique by the teacher. 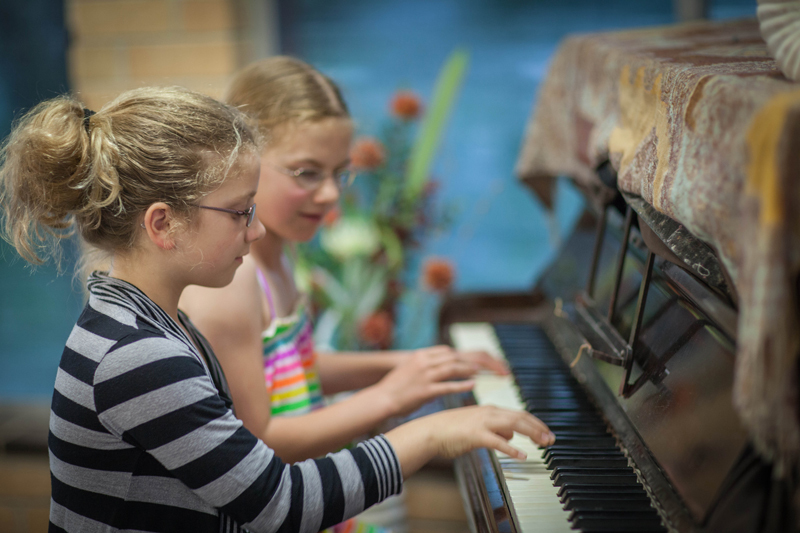 Musical Keys classes provide a fun start to learning and creating music which lays the foundation for a lifelong appreciation of music. - (for younger learners) songs to stimulate the imagination. Classes are also ideal for students who have previously undertaken foundation courses in music (such as those run by the Yamaha and Suzuki music schools), or those currently having individual lessons, in order to gain the benefits of learning in a group environment. Students are matched into classes based on level and age. Adults who wish to learn with a friend can also learn in a small group environment (please send an enquiry). Theory of Music / Musicianship classes and Group 'masterclass' lessons (piano or theory) are also available. To enquire about group lessons with Rachael (including availability and rates) please click here.